At Black Panda PR, we’re dedicated to making sure the world hears you. We are a full-service music publicity and consulting firm, with the expertise to give you everything you need succeed. From strategic press campaigns and brand management to copywriting and content development, we’re here to make sure you bring your music to the masses. When you join Panda Nation, you can expect a great deal of personal care and attention from our CEO, hours of personal pitching, regular communication, and a whole lot more.  At Black Panda PR, we’re on a mission to help talented bands and artists show the world what they’re made of. We’ve only got one question: Are you ready to make some PANDAmonium? CONTACT US, and let us know how we can support you.